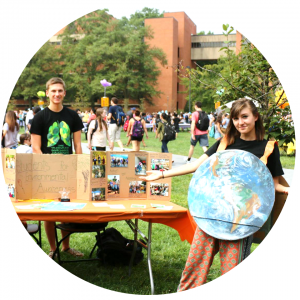 Sustainability Matters at UMBC shares updates from various groups and committees on recent news and events on these pages. 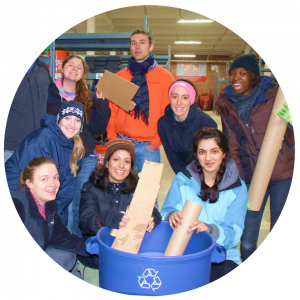 The team’s mission is to promote recycling, reducing waste, and sustainability efforts through events and to provide facilities management and student life staff who can support campus organizations sustainability efforts and events. Join a work group to reduce campus carbon emissions and energy use- transportation, energy & waste, research & education or outreach. 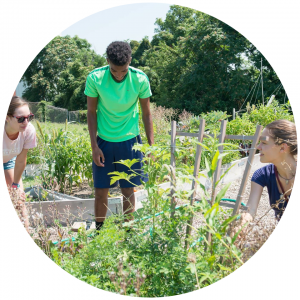 The coalition is comprised of a group of UMBC faculty, staff, students and community partners who care about food systems issues, and wish to stay connected on events, research and service opportunities that will advance just, healthy, and sustainable agriculture and distribution. The UMBC Wellness Initiative proclaims: we are a resilient, healthy community committed to the health and well being of each of our faculty, staff, and students. We understand the connection between self-care and our responsibility to care for the whole. The function of the Landscape Stewardship Committee is to review and recommend polices in regard to natural and protected landscape on campus, ecosystem management, campus beatification and UMBC Landscape Master Plan . 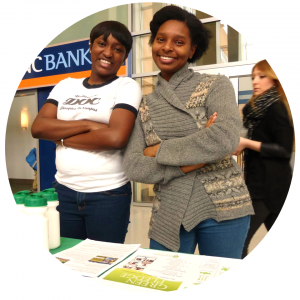 The Eco-Ambassadors are a team of UMBC students partnering with university sustainability efforts to promote social responsibility and environmental sustainability in the student body. SEA is a student organization that spreads sustainability and campus change through service, activism, outreach, & a strong community. Student Organization established to promote outdoor activities that are interactive with nature, and to provide a network for fellow outdoor enthusiasts. Student organization that inspires students to take action on sustainability based issues through service based activities. The Garden is a Social Action and Service Organization dedicated to helping re-imagine the role of higher education in addressing problems of the world through the creation and engagement of our food garden that enables creativity in: research, applied learning, campus-community partnerships, social equity, diversity, and food sovereignty. Oxfam is an international organization that addresses issues of hunger, poverty and injustice. On campus the UMBC Oxfam chapter raises awareness of Oxfam’s initiatives and have been focusing on the Grow campaign to restore agricultural balance. A student led effort to promote a sustainable and just food system at UMBC by connecting our campus dining to the local agricultural community. 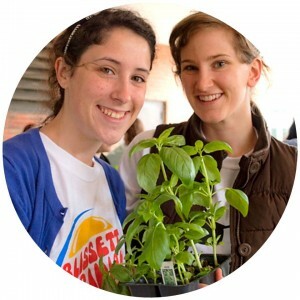 A student group focused on providing a community for vegans, vegetarians, students who are interested in improving their diets to help animals and the environment, and students with any dietary preference to attend social events and engage in grassroots activism. The group aims to advocate for abused animals in our food system, and inform students about the serious issues associated with animal agriculture. Our chapter of the Food Recovery Network (FRN) strives to promote awareness of the global issue with food waste. The group recovers leftovers from campus dining and events and brings it to a local homeless shelter. A student STEM group working on biodiesel research and production for sustainable transportation and Green Chemistry at UMBC. The Council of Majors provides students and faculty in the department of Geography and Environmental Systems support, community, events, and resources. UMBC Cycling Community organizes rides for all skill levels. UMBC Cycling is UMBC’s official bicycle racing team. In addition to racing, we also lead weekly group recreational and training rides including fun group and relaxed group rides from campus as well as mountain biking. EWB partners with disadvantaged communities to improve their quality of life through the implementation of environmentally and economically sustainable engineering projects, while developing internationally responsible engineering students. Currently UMBC is working to provide clean drinking water in a village in Kenya. A student group highlighting the synergy between the environment and kindness to animals.